Yesterday my mom took me out for lunch to Peppino in Kensington. I’ve been there many times before and it’s one of my favourite places to get a sandwich/sub. I’ve always ordered "Joe’s Special" which has mortadella, capicola and calabrese salami along with mozzarella cheese, lettuce and house dressing. They used to bake their own bread when they first opened but now they are way too busy so they buy it (they make everything else from scratch though). Everything that goes into the subs is very fresh – they even slice the deli meats per order while you wait – so you know it’s fresh. Their house dressing is a mix of mustard, mayo and some spices – it compliments the meats and cheese very well. If you’ve never been, definitely go and check it out. The service is equally as great. They also sell Italian grocery products (like dry pasta, canned tomatoes, olive oils, etc. ), raw homemade prepared foods (like lasagna, tortellini, ravioli, sauces, sausages, etc.) and many interesting flavors of gelato (including coke flavor) both by the scoop as well as in small plastic containers. I haven’t tried anything but the sandwiches yet but I do hope to have a gelato there soon. After reading my article, my younger brother invited me (and my mother) out for lunch to Peppino yesterday (lucky me). I decided it was time to try something different, so I ordered "The Surprise" which is described on their menu as follows: "Any one’s guess, no two sandwiches are the same." And I must say, I was very pleasantly surprised. The sandwich was so good, I was telling my brother how I would have to thank the guy for making me such a good sub, but before I could, he (Joe) came over to ask me if I liked it or not. He explained that he likes it when people order The Surprise because after a while he can get to know what his regular customers like and can serve them even better. What a nice guy, and what a great sandwich. Wow. 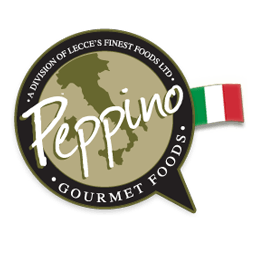 Peppino Subs in Kensington was published on Wednesday, May 7, 2008 at 2:07pm MDT by Daniel Menjívar and last updated on April 11, 2018 at 9:30pm UTC .